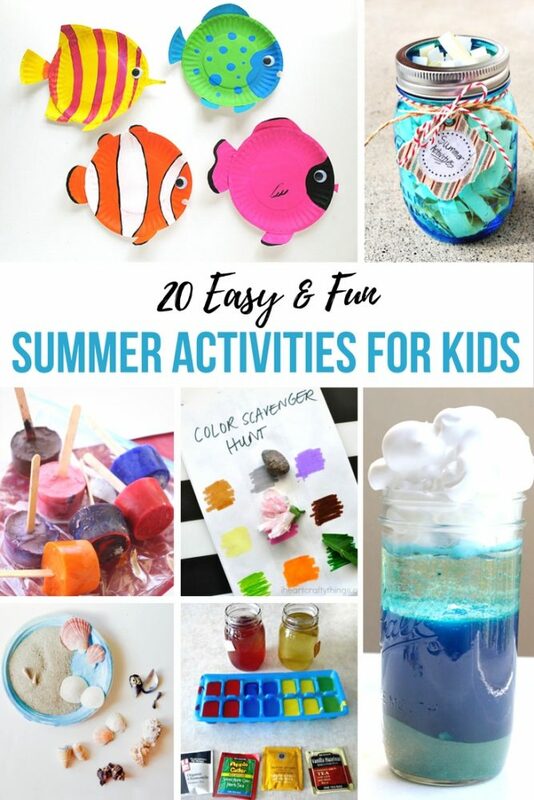 Looking for summer activities for kids that won’t cost an arm and a leg? 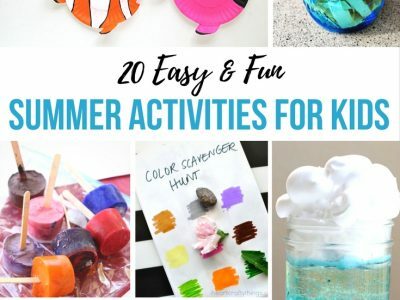 This article is full of fun activity ideas that will add some variety to the long summer days. When I think of the summer months, I’m so excited to spend more time with my kids, get outside, and enjoy family adventures. And if I’m being totally honest here…I also start to panic! Now that my sons are older, they aren’t napping, and they want to climb all the things. They’re pretty good at playing independently, but they’re still young enough that I need to keep a close eye on what they’re up to. Make a summer calendar of events. Anytime you hear about something free or cheap going on in your area, write it down on your calendar. You don’t have to go to any of the activities if you don’t want to, but it’s nice to have a consolidated calendar of events that you thought would be good for your kids. Have a list of go-to summer activities. It can be things like going to the library, checking out a new park across town, use free passes for a local museum, going to the farmer’s market, etc. When you’re stumped for ideas, you can check your list! Have the kids help you create their own list of activity ideas they can do at home. Some ideas would be…playing in the sandbox, playing with sidewalk chalk, blowing bubbles, reading stories, playing with blocks, riding bikes, etc. Start the day with some basic chores. This summer our boys have 2-3 things they need to do each morning before they can go outside. Save screen time for later in the day. This isn’t for everyone, but it works for me. I try to save screen time for while I’m getting ready for dinner. We eat dinner fairly early, and it’s often tough to get my kids to come inside while I’m cooking supper. Watching a kids show is a special treat for the kids, it helps them wind down, and it gives me time to work in the kitchen. Without the routine of the school year, summer can actually be an isolating time for moms. Last summer I had to make a real effort to make sure I was talking to other grown-ups on a regular basis! I tried to plan a few playdates each week. My kids are still young enough for moms to come along on playdates, so it was a win for everyone! This summer I’m also joining the Busy Mom’s Club. I’m so excited about it, because it will give me a way to interact with other mamas without having to find a sitter. 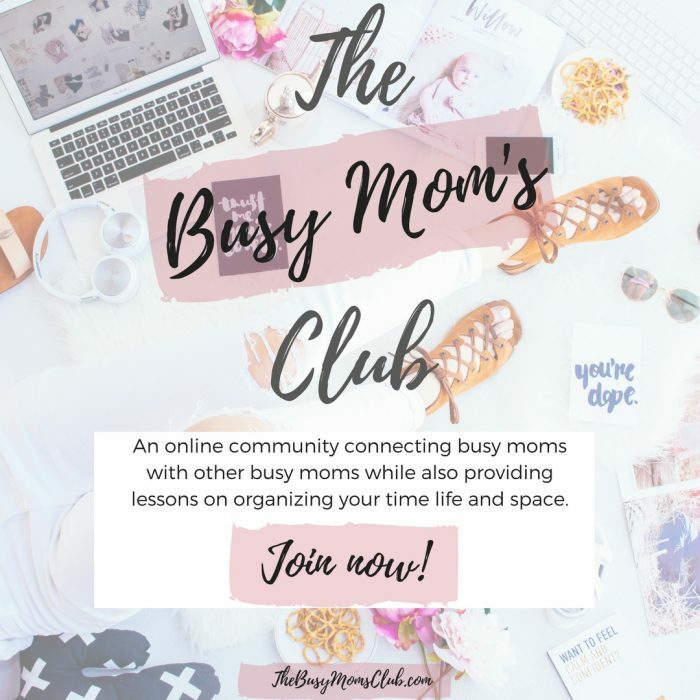 My sweet friend Jenn built the Busy Mom’s Club to give moms like us a community where we can talk with other moms, and also have fun! What is The Busy Mom Challenge? It is an 8-day completely free mini course that is going to help you organize 8 different areas of your life that is being host by my friend Jenn from Home by Jenn. Each morning starting on June 12th, you will be emailed a video and inside that video will be that day’s task for you to complete. The video will include the exact steps you need to take to complete that day’s challenge. Each afternoon Jenn will be host and live Q&A inside the Busy Mom Facebook Community where you can have your questions answered live. If you can’t make the live Q&A no problem, there will be an area where you can ask your questions and have them answered during the live broadcast. The recording will be available to you inside the group for as long as you need. The great news is, you don’t have to do this alone! By joining now, you’ll be doing this challenge with hundreds of other busy moms just like you! Plus you’ll have the support from Jenn. All you need to do is click this link here and you’ll be in! Once you click this link, you’ll be redirected to another page with some more info about this challenge. I can’t wait to see you in the challenge!